Rose Elizabethan Theater: The year was 1587 when Philip Henslowe opened the gates of Rose Elizabethan Theatre. Yet another new addition to the long list of Elizabethan Theatres. It was the first time that a theatre came up along the bank side in the Liberty of Southwark. The grounds were The Rose came up was actually used by Henslowe’s son in law Edward Alleyn. The Admiral’s men acting troupe used the ground for their theatrical presentations. People like Ben Johnson and Gabriel Spenser were important names associated with The Rose theatre. Spenser was associated with publishing Shakespeare’s work. The year 1600 was very significant as it ended the contract with the Admiral’s men. They finally moved to the Fortune Playhouse in North London. 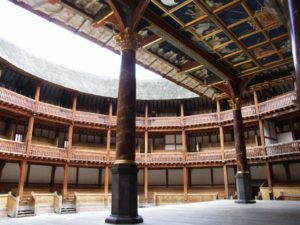 The new era of this Elizabethan Theatre began with the Worcester’s men. Till 1605 the Rose Theatre remained with the Worcester’s men. But, according to sources, the Rose was demolished in the following year 1606. 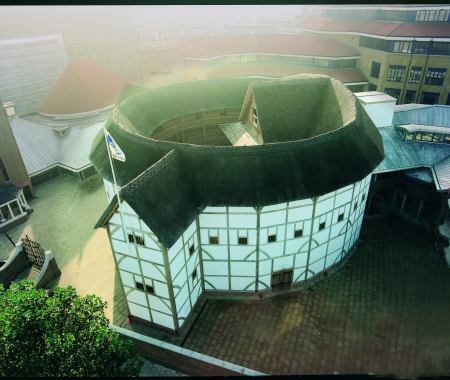 The Rose Elizabethan Theatre was built very differently unlike the previous ones using timber and plaster. The diameter of the gallery was approximately 72 ft and the yard 36 ft. with the stage size 15 ft deep by 32 ft wide. Another unique feature which sets the Rose apart is the brick foundation, which Henslowe was too keen to give better support to the structure. The painted stage with tiring horses kept at the backstage for actors to change was yet other important and distinct features as long as Elizabethan Theatres are concerned. The Rose thus right from its location to the way it was built to the various features which it boasted on making it one of a kind. Special people were hired as the flagstaffs that were used to fly flags advertising about the next show. Special storage section was named as the ‘hut’ which was designed resembling a hut and kept at the back of the stage. The Rose resembled an octagonal shape and had 8 to 24 sides. The open area was called the pit or the yard, keeping in pace with the other Elizabethan Theatres. 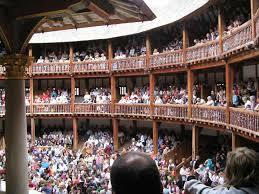 The balconies also were structured along the lines of the other Elizabethan Theatres. Thinking about the Rose Theatre draws our attention back to the film ‘Shakespeare in Love’. There we get to see the replica of the theatre. The Rose Theatre along with all its features truly establishes itself as different.